Electro Kinetic Technologies designs and manufactures innovative, ergonomically focused solutions. For over 25 years our products have helped clients safely transport people and materials within the retail, healthcare and material handling markets. 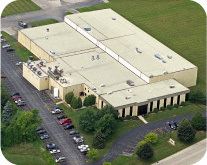 Our 85,000 square foot facility in Germantown, Wisconsin is home to our corporate headquarters, engineering and manufacturing for our three product groups. Our Retail Group designs and manufactures a line of high quality, reliable electric shopping carts used by our clients within the grocery and home improvement segments. With the industries highest total payload of 1000 lbs., and low maintenance costs, our clients have found our products provide superior performance and low total cost of ownership that increases their bottom line performance. Our Healthcare Group provides innovative solutions to transport patients and materials safely while reducing employee injuries caused by musculoskeletal disorders. Our Ergo Handling Group provides an extensive line of ergonomic solutions for pulling, pushing or lifting heavy payloads. Over the years, our products have helped our clients within the aerospace, automotive, industrial, petrochemical, food & beverage, and healthcare industries to improve their bottom line by reducing employee injuries. Our Service Group provides on-site service for all our product groups and consists of over 200 trained technicians across the United States should your products ever need maintenance or repair.